Select a city from the Upper Peninsula map above or choose a link in the left menu to get the latest Upper Peninsula weather. 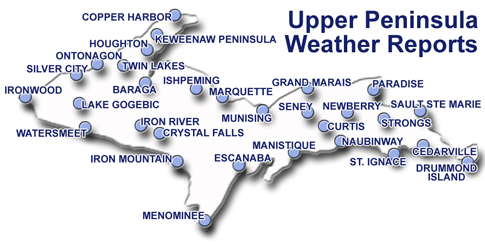 Welcome to our Upper Michigan Weather Center, where you can easily find out the weather for each of our Upper Peninsula cities listed above. Super easy, fast and reliable. Remember, weather changes quickly take special precautions traveling over the bridge, tune into AM radio 530 or 1610 for weather updates. 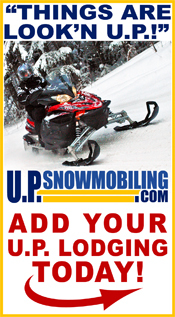 Click the Upper Michigan Weather location above and make your plans to visit the U.P. 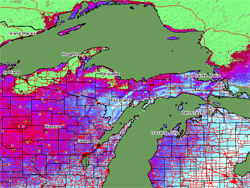 The Upper Micigan Snow Depth map offers a visual tool to view the depth of snow throughout the U.P. They also offer an interactive version on their website. 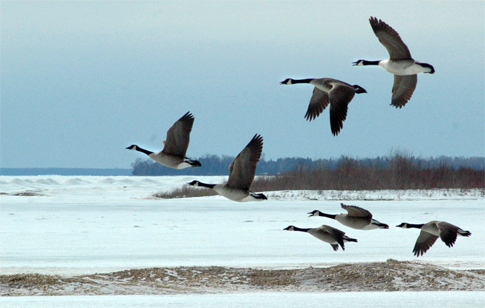 They work with the National Weather Service, satellite info and snow surveys to bring about this data.